Join Lei‘ohu Ryder and Maydeen ‘Īao for a Winter Solstice Celebration at Kukuipuka Heiau, Thursday December 21 from 10:00 - 11:30am. This annual gathering serves as a fundraising event, all proceeds go to the on-going maintenance & preservation of Kukuipuka Heiau. Partake in special pule, blessings, intention-setting, honoring kupuna & the natural ways One Love - One Ohana. Suggested Donation $30 Cash Day of Event or online at www.leiohuryder.com no one turned away. 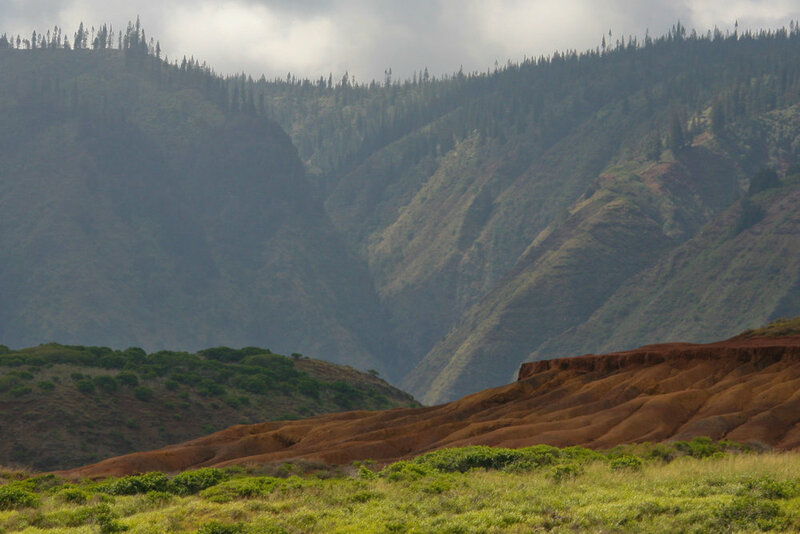 Driving Directions Kukuipuka (same as Waihee Ridge Trail): Go 4.4 miles to Mendes Ranch – 3530 Kahekili Hwy, turn left on road directly across from Mendes Ranch that goes to Camp Maluhia & Waihe’e Ridge Trail. Follow this road past turn off for Camp Maluhia to end of road. Turn right and park in paved lot for Waihe’e Ridge Trail. Walk back up to turn stile next to the drive in gate. Walk makai (towards the ocean) toward heiau. When you get to the end of the dirt road, walk down the hill and across to the gate to the heiau. A heiau is a Hawaiian temple and so much more. It is a designated place for the practice of prayer and at Kukuipuka for healing. Proper respect should be shown at all times. Ho’okupu (offerings) are not required. Your silent prayers or chants are an offering in itself. If you would like to make a Ho’okupu to Kukuipuka, the simple rule is to bring items that are natural, such as flowers, water, plants, leis, ferns or other greenery. If anything you remember, please DO NOT sit, kneel, stand, carve, dig, mark , or move any of the rock and wall structures!